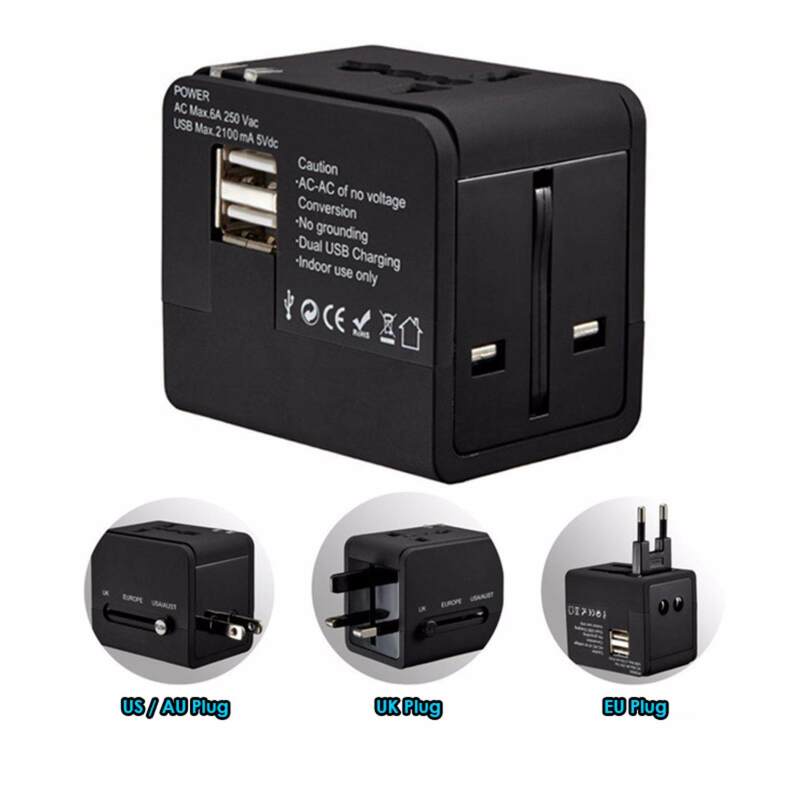 Universal travel adapter with US/AU/UK/EU plug. Come with 2 USB Port 2.1A. Can be used in more than 150 countries. Easy to use with slide button to use different plug. 2 High speed USB port which can charge 2 devices simultaneously. Two led light functioning as power indicator.